« Ford says 1 in 4 will pay more for more fuel efficiency. If you were standing on the Utah-Nevada border and looking east, 14,500 years ago you would see a gigantic lake, nearly as big as Lake Michigan. Standing in that same spot 77 years ago you would have witnessed Sir Malcolm Campbell in his Blue Bird, streaking across a vast white salt pan, on his way to setting the land speed record at just over 300mph. 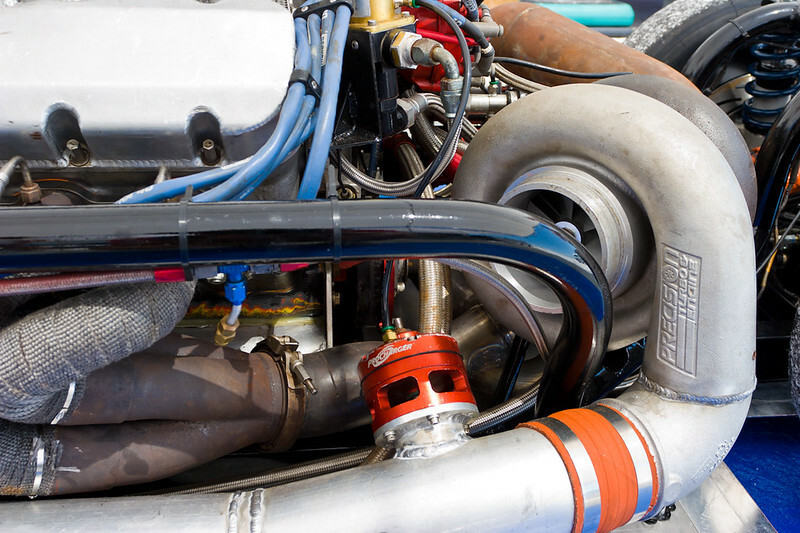 Last weekend I went to the historic Bonneville Speedway to witness the pinnacle of our obsession with speed. 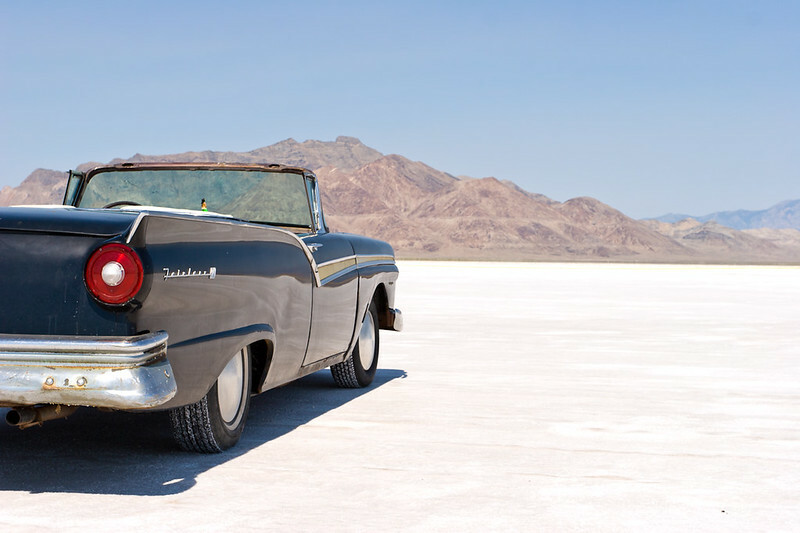 Living in Nevada I’m used to wide open spaces, but even I was taken aback by the sheer magnitude of the Bonneville Salt Flats. 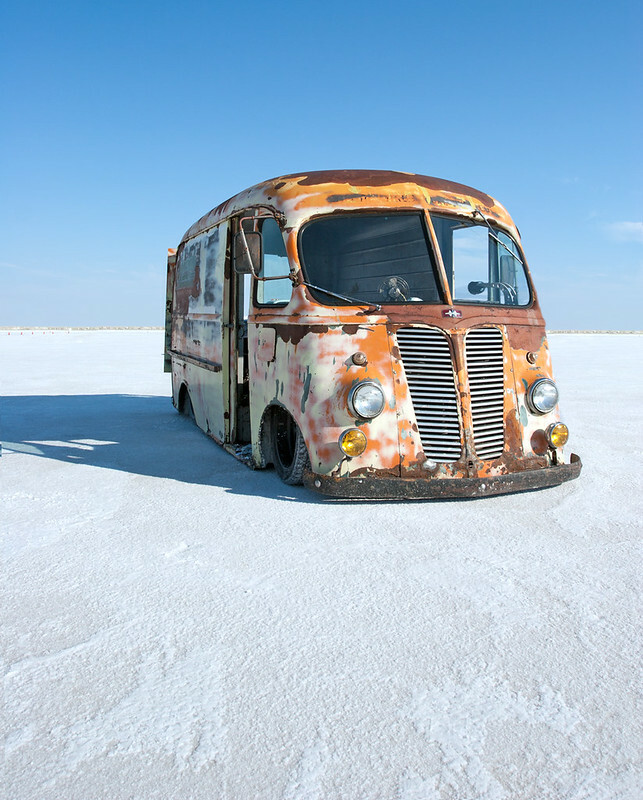 One look at the vast flat plain of salt and it’s obvious why this is the preferred place to set a land speed record. 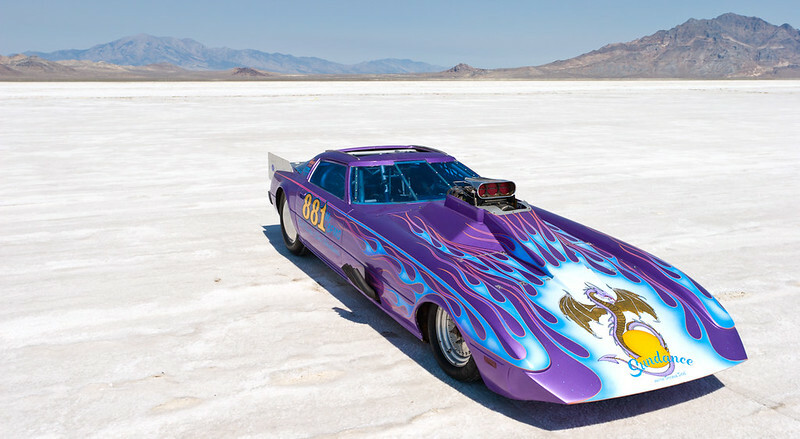 Speed Week is the biggest event on the yearly land speed record calendar. 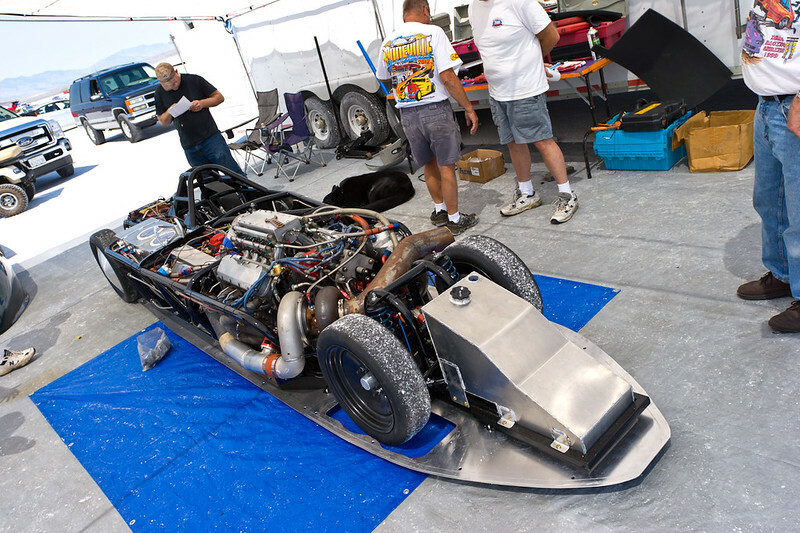 Organized by the Southern California Timing Association (SCTA) Speed Week lets you bring just about anything to the salt and attempt to set an official record. As a first timer, I barely scratched the surface of what land speed record racing is all about. and take advantage of the amazing scenery. Like I said, you can find just about anything out on the salt. 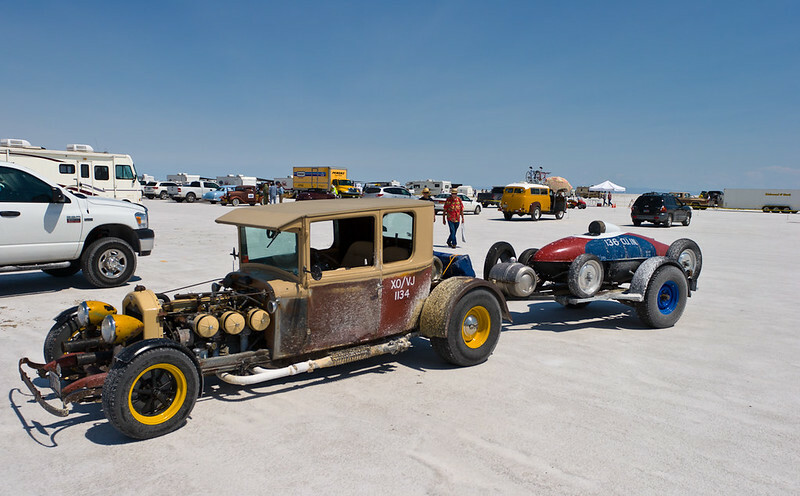 We’ll have more coverage of Speed Week at Bonneville coming up later this week, including a few more in depth looks at some competitor’s and spectator’s cars. I feel like today IG grew up and became a man. Awesome stuff.